A team of scientists has identified more ways to mitigate climate change. 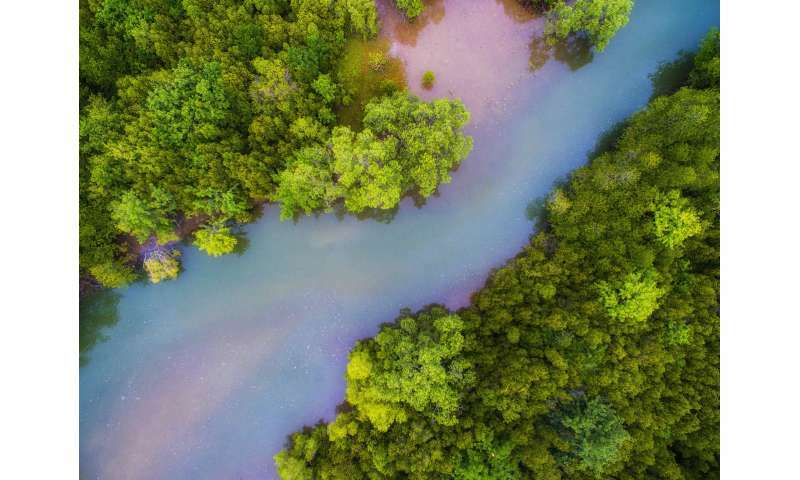 Restoring coastal wetlands, rewetting drained soils, preventing erosion and reconnecting wetlands to exchange with saltwater can reduce more greenhouse gas emissions if done together, according to their report. "Coastal management activities like watershed alterations and oil and gas extraction have resulted in large sources of greenhouse gas emissions," said Tiffany Troxler, co-author of the report and director of science in the Sea Level Solutions Center at Florida International University. "Coastal wetland restoration is a win-win solution for both mitigating greenhouse gas emissions and protecting coastal economies." In 2013, Troxler helped lead a successful effort to add coastal wetland management to national greenhouse gas reporting as part of the United Nations Framework Convention on Climate Change (UNFCC). The UNFCC is an international environmental treaty dedicated to stabilizing greenhouse gases in the atmosphere. This gave policymakers a new tool for reducing emissions through wetland restoration and other coastal wetland management activities. Healthy coastal wetlands trap harmful greenhouse gases that otherwise end up in the atmosphere and speed up climate change. They also help protect communities from floods and storms, improve water quality, and support recreational and commercial fisheries. Despite protections and regulations, the United States continues to lose its coastal wetlands to development. "It's only been in recent years that we've been able to truly recognize the important role wetlands play in sequestering carbon and greenhouse gas emissions, but we've also learned that they need to remain healthy and intact to continue providing that benefit," said Ariana Sutton-Grier, co-author of the report and director of science for the Maryland/DC Chapter of The Nature Conservancy. "That's why acquiring a widespread assessment of our existing wetlands has become critically important, especially as we're still losing wetlands on a global scale." The report was a collaboration among FIU, Silvestrum Climate Associates, University of Maryland, NOAA, Smithsonian Environmental Research Center, United States Environmental Protection Agency, and The Nature Conservancy. It was recently published in Nature Climate Change. Maintaining coastal wetlands is challenging as global change has impacted this fragile ecosystem too. But, it's protection and management is an excellent way to combat further impact of GHG emissions.